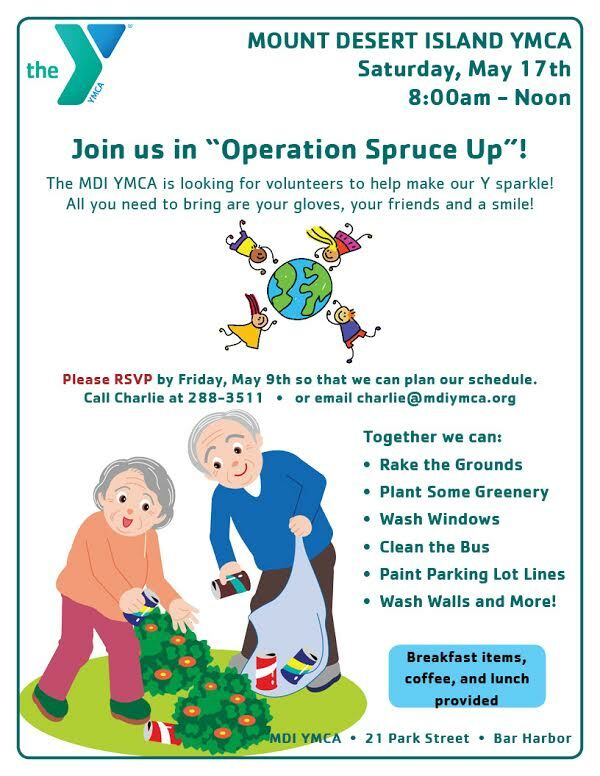 The MDI YMCA is looking for volunteers to help make our Y sparkle! Come join us on Saturday, May 17th from 8:00 a.m. – 12:00 noon. Breakfast items, coffee and lunch are provided. All you need to bring are your gloves, friends, and a smile! Projects range from yard care, cleaning, and even painting parking lot lines. Please RSVP by Friday, May 9th so that we can plan our schedule. Call Charlie at 288-3511 or email him at charlie@mdiymca.org.